Oh Mother Gauri! Consort of Lord Shiva, You are the auspiciousness of all that is auspicious, You fulfill everyone's wishes, I bow down before you, Take me under your care Mother Narayani! 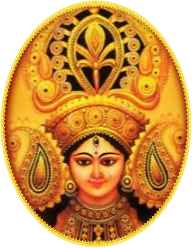 Mata Chintpurni Devi is one of the many manifestations of the Supreme Goddess Durga. In this form She is also called Maa Chhinnamasta or Maa Chhinnmastika - the one with detached head. We humans have endless desires; desires steer us towards anxiety and worry. The Divine Mother relieves Her devotees from worries (chinta) by fulfilling all their desires. That's why, appropriately called MATA CHINTPURNI. Just like any mother, our Divine Mother Maa Chintpurni Ji cannot see Her children suffering. She banishes all our sufferings and endows us with joy. All those who come to Mata Chintpurni with wishes, do not go empty handed. Mata Chintpurni showers Her blessings on each and every one. 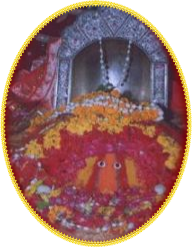 The Chintpurni temple is the abode of Mata Chintpurni Ji. To read more about Mata Chintpurni, follow the links in the above menu. Jai Mata Chintpurni Ji!